Truthfully, of my 100+-volume cookbook collection, there are only a few I actually use with regularity, primarily for baking. I’m not precise or patient enough to use recipes for everyday cooking. But one that I do use is The Roseto Cuisine Cookbook. I love this modest but mighty cookbook, last mentioned in my Easter bread post, for more reasons than I can count. Today, it’s all about the meatloaf. I realize that the weather is getting warmer at last, and that heartier fare is not on our minds so much this time of year. But meatloaf is a great thing to throw in the oven while you laze on the porch with an apero, as the Italians call it. Plus, it makes fabulous sandwiches, hot or cold. My mother’s meatloaf was beef and pork, two eggs, a splash each of milk and Worcestershire sauce, about two tablespoons of ketchup, salt , and, of course, breadcrumbs (the kind you make from the ends of bread, left to dry out on the counter for a day or so), salt and just a pinch of pepper. She glazed the top with stripes of ketchup, which caramelized nicely to add a slightly sweet tang. Over the years I’ve tried a few meatloaf recipes which, at the time, I thought might be more interest. 72 Market Street Meatloaf, named for the Venice, California, restaurant where it was a staple, is a much more refined meatloaf worthy of a special dinner; but the ingredient list is as long as your arm and you won’t put it, or the wine-and-shallots sauce designed to accompany it, together in five minutes. 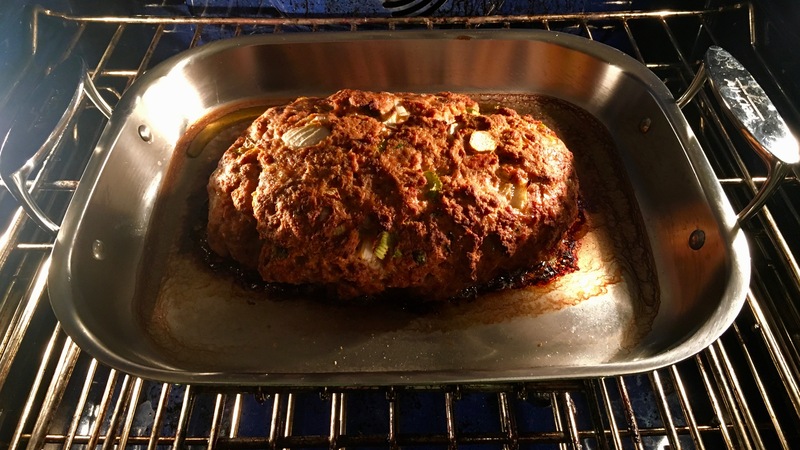 Ina Garten’s meatloaf isn’t bad either. It reminds me more of the meatloaf I grew up with. Given the choice, however, my favorite meatloaf in recent years is the Italian-style Polpettone**, in the The Roseto Cuisine Cookbook. This recipe is close to perfect as is, but I understand that some of you may not eat veal or pork. You can skip either or both, but make sure that the fat content of your ground beef is generous. Italian-style chicken sausage might be a reasonable substitute; turkey sausage would probably be too dry. If you eat only ground turkey or ground chicken, my advice is to find a recipe designed for those products. As you will see, the instructions say to mix everything together on a platter. I tried that, thinking it might be easier; but in the end found my giant stainless steel bowl works better. Wash up well—you absolutely MUST mix meat loaf with your hands. Just as an aside, Roseto is in the Slate Belt of Eastern Pennsylvania. 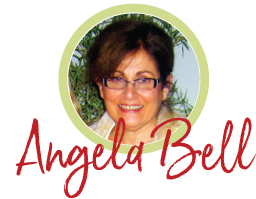 Adriana Trigiani has written about the town where her grandparents lived in several books. It is also the home of Ruggiero’s Market, where you can find Anna Marie Ruggiero’s marvelous cookbook. Or purchase it online here. *Excepting Mom’s because to do otherwise would be heresy. **Another version of Polpettone, a stuffed one, from Memorie de Angelina, an Italian food blog that I love (you will, too! ), can be found here. Ugh, I hate getting my hands in 🙂 🙂 And I don’t have a food processor so breadcrumbs are… impossible? I’m a tough cookie to please. It’s fine. There are other good things to eat! I’m with you about meatloaf and this one sounds a little different from what I make. I’ll be interested to see the difference of adding the cup of tomatoes to the meat…what it does to the taste and texture. Thanks. Still a meatloaf from the texture standpoint, but with a gentle Italian flavor.